Before we get into this post, it's time to announce the results of the latest poll! Last weekend, we asked the community which server they'd prefer to see next: Prison or KitPvP. ... and the results are: KitPvP has won with 96 to 56 votes! This week, we've worked on Quests for our fifth weekly update! There are over 200 quests spread across 7 different quest categories. The quests range from farming quests, to mining quests to combat type quests. Most of the quests will require you to gather materials by mining, harvesting, collecting or killing. We have also fixed a few bugs here and there. Continue reading to find out more about this weeks update. Browse all the different quests by typing /quests or right-clicking the quests NPC at spawn (/warp quests). To begin a quest, click on the category you'd like to start (for example, Farming Quests) and then click one of the quests inside the category to start it. You can view what the objective of the quest is, your progress on the quest and the reward given by completing quest in the description of it. As seen inside of the red box in the image below. As we've mentioned, there are 7 categories consisting of over 200 quests. What are these quest categories? Farming Quests (78) - Gather or harvest farming resources to complete these farming quests. Mining Quests (31) - Mine or collect a certain amount of blocks to complete these mining quests. Gather Quests (29) - Gather all sorts of different resources to complete these gathering quests. Combat Quests (48) - Attack players and monsters to complete these combat quests. Miscellaneous Quests (10) - Miscellaneous quests contain a bunch of random quests to complete. Building Quests (11) - Build a structure or system on your island to complete these quests. Animal Quests (12) - Work with all sorts of different animals to complete these quests. The rewards for each quest will vary from experience rewards, money rewards and item rewards. That concludes this weeks update! 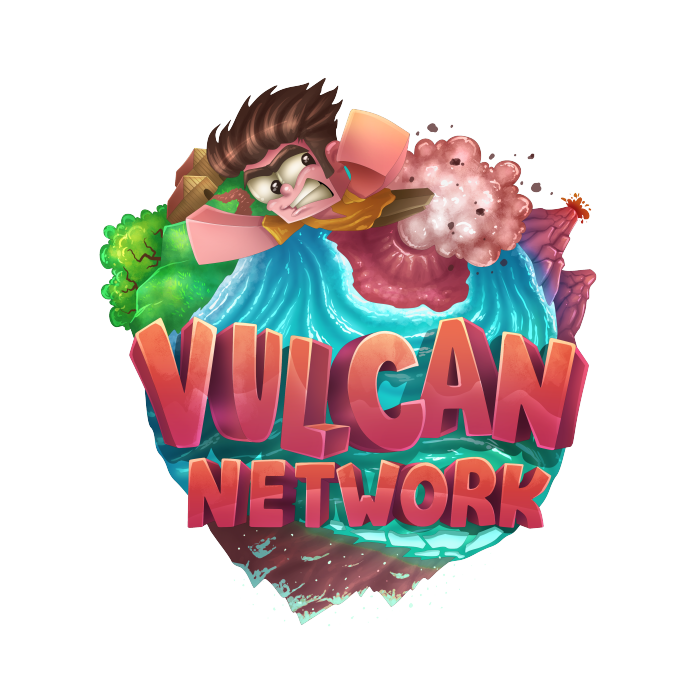 We hope you enjoy grinding out all of the quests, let us know how many you've completed by the end of the month by tweeting us @VulcanNetworkMC. Mr. Leo and the staff team did it again with another one of these super amazing updates! I'm a bit salty that prisons didn't win the poll, but I understand . Any extra gamemode is always fun, no matter what it is! HYPE FOR KITPVP!!! I'm a bit confused as to how quests are different from challenges, but I can tell that a great deal of time went into making these quests. I wonder who was designated with the job of creating hundreds of different quests. Whoever created all the unique quests, much thanks ! I'm super excited to try some out. Thanks for some more easy rewards! Finally, It's about time that the advent warp was removed. I'm glad that was fixed. Thanks again for this truly amazing update! A special congratulations to my good friend Minerfortyminer, who was recently inducted into VulcanMC's staff team. I know you'll be amazing, and I expect great things from you! Have fun. Thanks! Prison will come sometime in the future, don't you worry. We added quests as an alternate system to challenges. We have plans for the far future to change challenges up quite a bit and resort to quests doing the work of challenges. We also plan to add quests to every server, however, the quests will differ per server. Amazing... just, beyond everyoneÃ¢ÂÂs expectations. Who would have thought quests would come this fast and this massively, oh my gawwwd! Hyped to test these quests in-game! Woah! Yet another addition to all the other awesome content that was added this past month. I'm excited to begin attempting to complete as many of the quests as I can. They do seem interesting, and there are so many to chose from! KitPvP is a gamemode that I don't exactly have experience with, as I haven't been into pvp in general (until recently). But with this new gamemode on the horizon, I may need to start practicing. I can't stress enough how thankful I am. Our wonderful developers and everyone who worked on this content-filled update at VulcanMC have created some of the best and most detailed improvements/fixes/updates that I've ever seen, and today just proves that they will keep going strong. Thank you! I can already tell that KitPvP is going to be awesome! Good work Leo, Willza, Eternity, Joshy, Ivena, and whoever else is helping to make this amazing new gamemode!